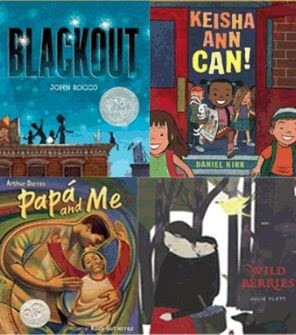 Writing for EBSCO NoveList, Heidi Estrin explores the value of diversity in literature for children and teens. She offers suggestions, titles, links and NoveList tips for more information. "There is a loud, clear call for more books portraying people of color and other minorities, including both stories that celebrate difference and stories that "normalize" diversity. [...] there is wide agreement that children of all backgrounds will benefit from bonding with characters of diverse races, ethnicities, religions, physical and cognitive abilities, and family formations."